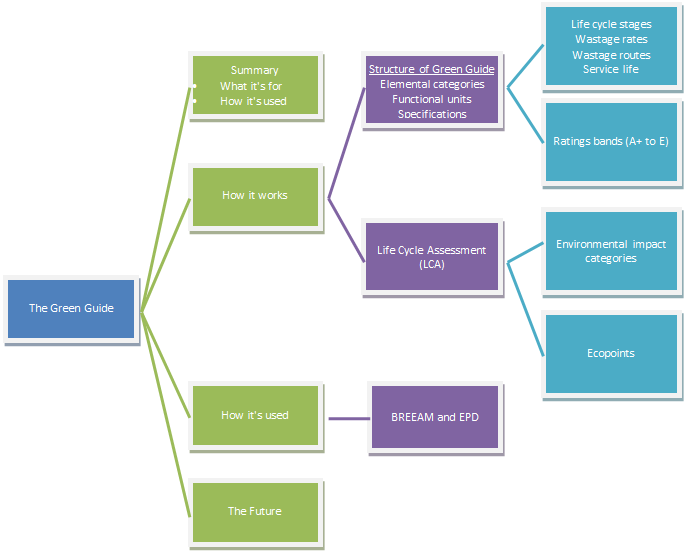 This document provides an overview of the Green Guide to Specification. The document has been designed to allow you to explore different aspects of the Green Guide at the level of detail you are interested in. The document will be particularly useful to those who use the Green Guide as part of BREEAM or as a part of their selection of specifications in design. It will also be useful for construction product manufacturers whose materials are included in the specifications of the Green Guide.